Did I tell you that Thanksgiving and the weeks following are my favorite? It’s mostly because of the leftover sandwiches that I eat for days on end. There is something so satisfying about the flavors for me. Along with those sandwiches comes a house full of family that I get to cook for and feed. That is also my favorite part. I do love hearing how much they love the food, in a heart warming way, not in a feed my ego way lol. It warms me up to see them enjoying themselves, eating, talking, and smiling while being together. That is what happens here all year long when we visit each other, not only for the holidays but for birthdays and such too! I feed them and they smile. 🙂 Over the years they pop into the kitchen to help and we all cook together, which is so much fun. 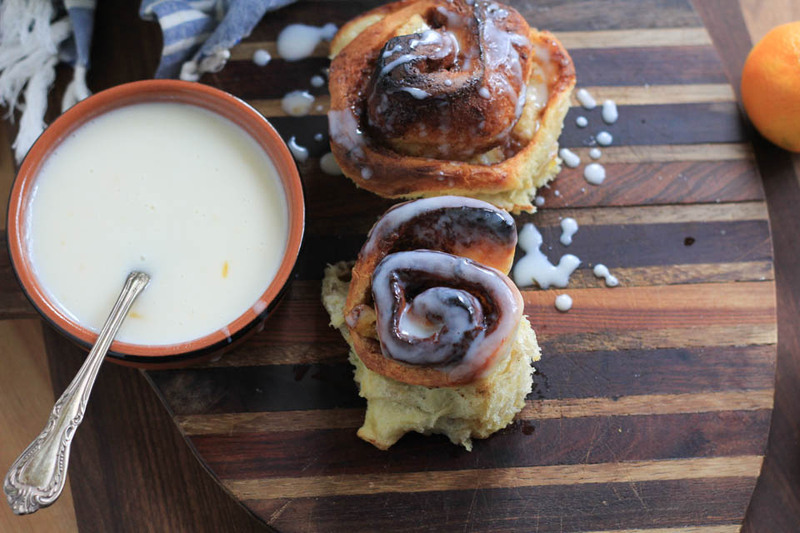 We made it even more fun with these Buttermilk Clementine Cinnamon Rolls! When I visit my friends or family, or they come here there is inevitably going to be some baking going on. And possibly a shy request for a baked goodie, it’s fair though, I was a baker in a bakery after all, so who can blame them for asking lol! Many times we pull up a recipe from my site and we make it together, it’s fun to watch and help someone make my recipe. It brings so much joy to me knowing that they can then go on and make it at home after enjoying it here with me! This is also the time of year to deliver and send goodies to people all over. These are actually a sweet gift to deliver rather than cookies, for something a bit different. Simply bake and deliver on the same day! You can even bake them in a to go baking pan for nice office treats. To keep the baking going I always have a huge jar of Bob’s Red Mill all purpose flour on my baking station in the pictures bellow. I keep a stock of it in my pantry (I have 8 bags in there right now :)) and fill up my jar when it gets low. It is my favorite and the only brand of flour I use. Simply because of the quality of their products and super awesome people over at Bob’s that I love so much. This is one of those recipes that is warming and comforting to make with family friends! 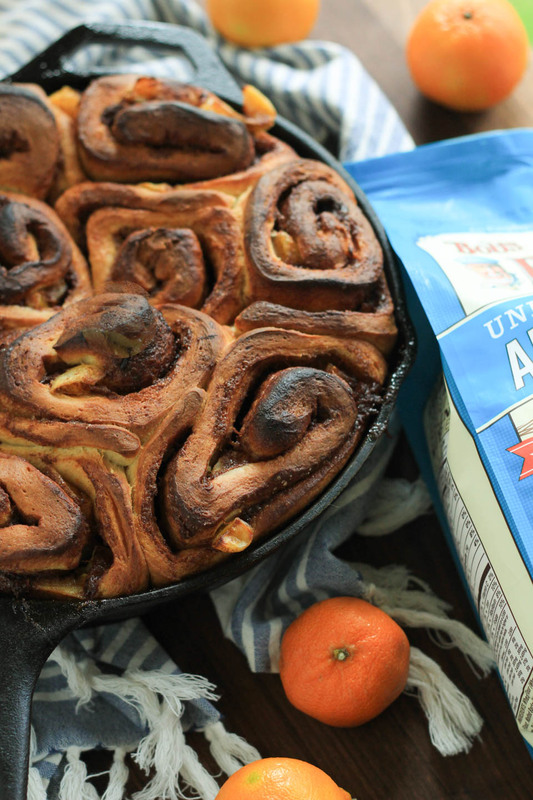 You can make a batch and not bake it until the next day right before everyone wakes up, more like they wake up because of the smell of these Buttermilk Clementine Cinnamon Rolls baking away in the oven. Make fresh coffee as the perfect pairing and they’ll probably never leave. Or maybe they’ll offer to make you dinner! 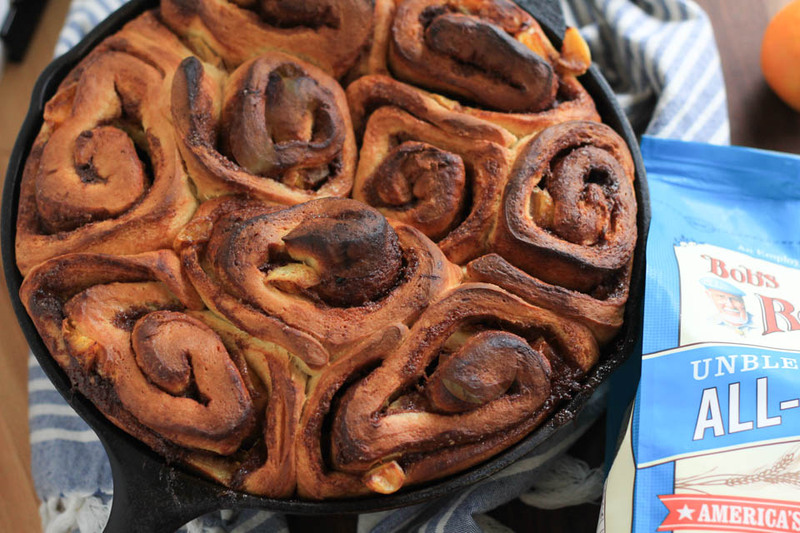 But either way this is the best cinnamon roll recipe to surprise your holiday guests with though, they will love it! Recipe note: About 6 clementines are needed for this recipe. Zest all clementines first, then peel and chop 3, then juice 3. Combine warm water, yeast, and 1 teaspoon sugar in a small bowl or in liquid measuring cup. Stir to combine using a fork, let sit for about 5 minutes, until foamy. Add remaining sugar, buttermilk, clementine zest, and egg, use fork to combine. Add flour and salt to bowl of a stand mixer fitted with dough hook, whisk to combine, then add egg/buttermilk mixture. 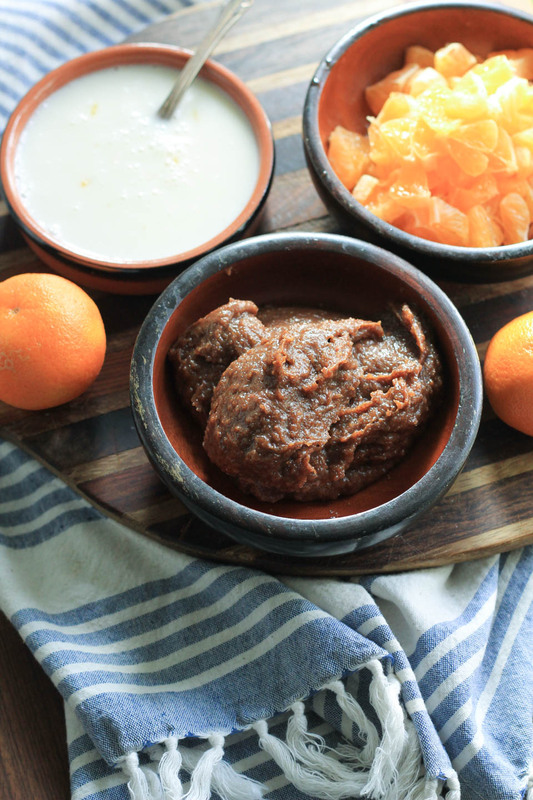 To make the filling: Combine brown sugar,melted butter, clementine zest, cinnamon, and salt in a medium bowl. Mix well to combine using a fork. Butter a 10 inch cast iron or oven safe pan, or 2 quart/ 8×11 baking dish. Gently remove the dough from the bowl onto a lightly floured counter. 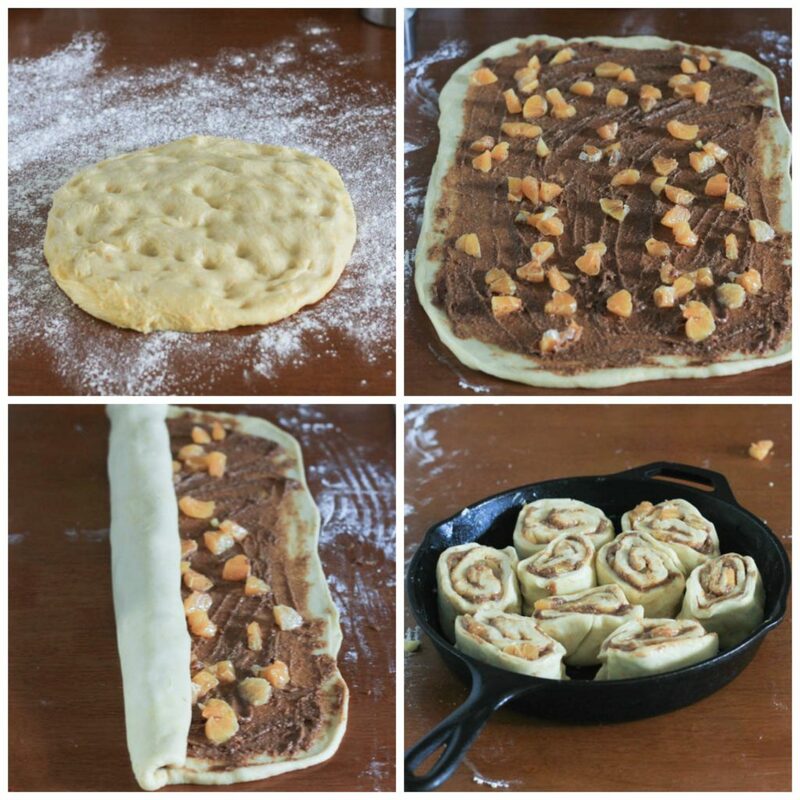 Gently press fingers into dough creating a circle. Using a rolling pin, roll the dough to a 10 x 20 rectangle. Evenly spread butter/sugar/zest mixture onto dough using hands (fun) or large spatula to keep clean. Top sugar evenly with chopped clementine pieces. Roll dough up tightly and place dough seam side down. Place oven rack in center of oven and preheat to 375 degrees while the rolls rise. Uncover rolls. (If refrigerated, allow them to sit at room temperature for 10 minutes.) Bake for 30 minutes, or golden brown. Remove from oven and allow to cool 5-10 minutes before icing and serving. Making the icing: While the rolls are baking, whisk together buttermilk, sugar, and clementine juice in a small bowl until completely smooth. Place in fridge to thicken while rolls continue to bake. Clementine Icing: Dip tines of a fork into icing and drizzle all over the rolls or dip tops into icing. Enjoy and serve immediately. Store leftover rolls on counter for up to 3 days, and in fridge for up to 5. Store icing in fridge for up to 5 days. But certainly best served fresh :). Disclosure: This is a compensated post in collaboration with Bob’s Red Mill. As usual all opinions are my own. Thank you so much for supporting the brands that support NJB! For those of you who are not local, they do offer free shipping on orders over $50, so stock up on those baking flours for the holidays! 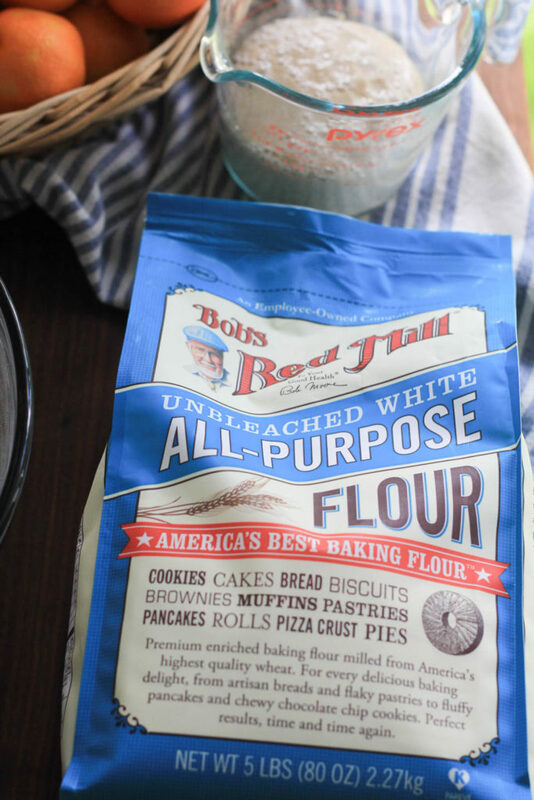 Here are some awesome Bob’s Red Mill recipes for the gift giving and baking season! I am crazy about clementines this year. I literally buy a bag of them probably once a week or maybe once every two week! can’t wait to make these! Oh wow they sure look yummy. Thank you! I loved them. 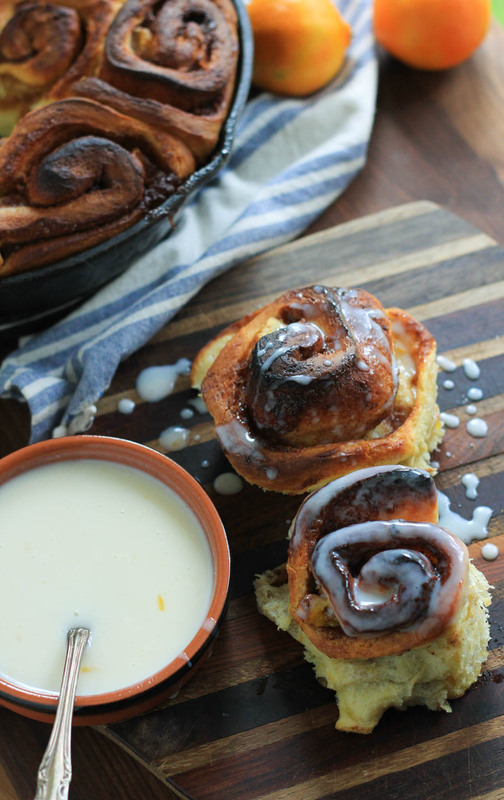 These are perfect all season long and I wish I had a couple of them for breakfast today! Thank you, Matt! Me too!!! Can you use regular whole milk instead of buttermilk? You could, it would just change the texture and flavor a bit. But it would still be good! We often make cinnamon rolls for Christmas morning. I have a feeling my family would love this clementine version! I’d love to stop by and taste some of your fresh baked foods! We LOVE Bob’s, too! Anytime!!! Oh me too, it’s the best. I love stocking up on all the goodies at the Bob’s store :).